When creating your business, you had an idea of all the jobs that you would need to have it running efficiently. You knew how to do each job because you were the one doing them. Each job had specific procedures and each procedure had its own set of rules. This would work better if someone did this, or to make this more efficient this worker should do this. You knew all there was to know about your business. You held onto, and in many cases, still do hold all the knowledge for all the positions. That must get tiring. Think about it, if you never share this information with the other people you work with, then you can never leave the company for any period. You will be constantly putting out fires every day because no one will have any idea what they are supposed to be doing. You will miss out on all the profit opportunities behind having more people doing what you do. 1. The guru pig who believes they are the only one in the company who knows the ins and outs of the business. 3. The fireman pig who believes the whole company would fall apart without them because they are constantly having to put out crises, or “fires”. Sometimes an owner’s identity can be so wrapped up in the business they feel that they are the business. They need to hold onto every bit of information because without everyone coming to them, they would no longer be important. However, without sharing your knowledge with your staff, you have actually created chaos. A stable, healthy business with growth potential NEEDS clarity, needs direction written out and organized. loyalty. 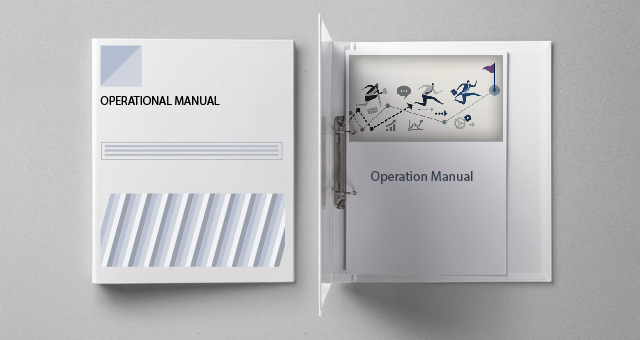 Every company needs to have a series of operation manuals and systems. Contained in these manuals is all the information to conduct every position correctly, as you see they should be. These documents will help your company run automatically from day-to-day without you. They help you and your company have manageable growth during good times and provide stability when you are struggling through slow times. Tommy Mello, owner of A1 Garage Door Service and author of Home Service Millionaire, explains that operating manuals are another set of checks and balances for your business. They are objective and clearly written policies and procedures that have been proven to deliver the results you want. You must make sure that you train people with these manuals, stand behind them, and hold the employees accountable with these manuals. 1. Ensure everyone is doing things the same way—your way—whether someone has been with the company a few months or a few years. 2. Instill accountability into your company culture. 3. Replicate your business across town or in another city. a. Through these manuals, training, and holding to the structure they cause, you can replicate your company in other places. You will not have to start from scratch for each location, but rather start where you are currently with your original profitable location. 4. Prevent fires rather than running around putting out the same ones you put out yesterday. a. With everyone knowing what is expected of them and how to do their jobs correctly there will be less problems and questions. The more detailed the manual the better because it will leave no room for confusion or oversite. 5. Stop waiting around for the only employee who knows how to do a certain task because anyone can be trained using the manual. and that the job is getting done. However, without you telling them exactly how you want it to be done, how your company expects the job to be done. There is no uniformity. One may even cost far over the normal price because they used different products or took even more time than normal to complete the job. That manual should describe 80% of what you do in that position. If you think about it, starting this process early in your company would be easier because more jobs are only created as your company grows. However, if you are starting this after your company is already a large business, you may want to seek help in writing them. You can even have subsections within manuals to cover specific sections of certain jobs. By this I mean if you have a manual for customer service representatives, a subsection would be greeting a customer at the front desk, another answering the phones, another would be how to handle irate customers and customer complaints. Each of these are different jobs and require a slightly different set of rules or charts to follow. They are all versions of customer service jobs. In Al’s manuals, he states that there is nothing longer than a page because it isn’t like you have never done your trade before. Generally, when you are hiring people to work for you, you aren’t training them on the basics because they are people who have worked in the industry previously. If you are hiring people who have never had any experience, there is normally a training process done through other employees who are already experienced. The main point to get across in these manuals is how YOU with YOUR COMPANY want them to do their jobs. This is the “what makes your company unique” area, or even just places where there are many options on how to do something and you prefer one. For customer service, it might be a script you expect them to follow or a few examples of common questions and how you want them to be answered. In his book, there are five other powers to cover. The planning and operating powers, where operating manuals and organizational charts fall, are the two that he says change your business for the better the fastest. Another great reason to have operating manuals in place is you can use them to determine the current skill levels and technical knowledge of your more experienced employees. You create training around these manuals, so everyone will have the same necessary knowledge. There will be uniformity throughout your company other than just the same uniforms and wrapped trucks. If you want to push your company’s success and want less stress on yourself, these manuals are the way to go. They should be undertaken as soon as possible and followed throughout your business. I cannot stress the importance of these documents enough. These manuals, along with delegation, organization, lists, and charts will build your company with a stronger foundation and you can be on your way to a home service millionaire or even your own empire like Tommy Mello. If you have any questions, please comment bellow. I will answer as quickly as possible and I look forward to helping your company grow in the right direction.